I was born in Grimsby, in North East Lincolnshire. 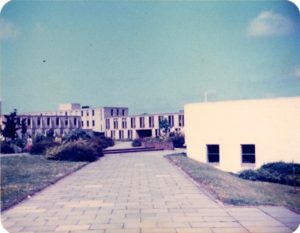 My school, The Western Comprehensive School, isn’t there anymore – falling numbers rendered it surplus to requirements and it has been flattened awaiting redevelopment. No loss architecturally, two storey brick construction with single glazed, metal framed windows and flat roofs that leaked a lot. Still, it gave me my first computing experience and ten ‘O’ levels. 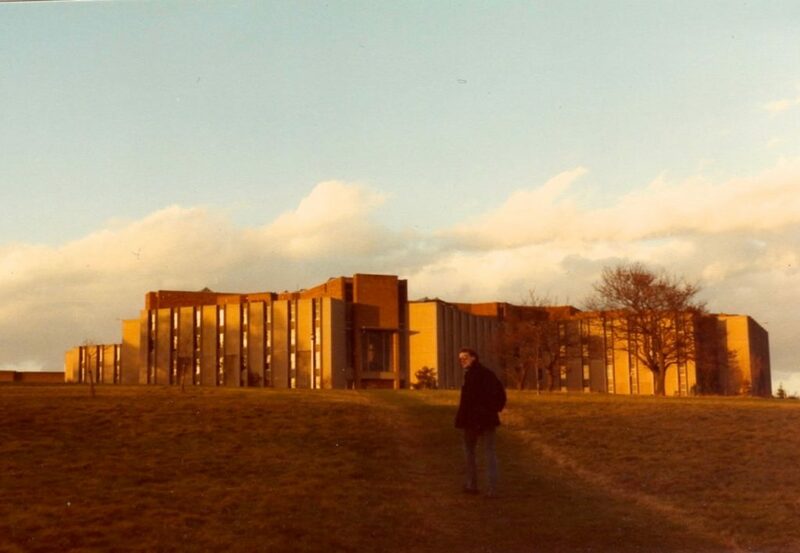 and now known as “Kent University”. 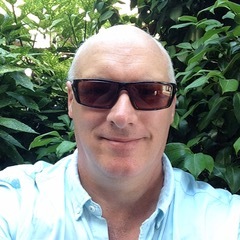 I joined the first cohort of students studying a new degree, Computer Systems Engineering, which combined much of the Computer Science course with about half the Electronics course, and I was very pleased to be awarded a II(i) Honours. We were taught Pascal and the Unix Operating System and I went on to learn the ‘C’ programming language and the ‘vi’ editor, whose keystrokes still come naturally to me some 20 years later. (Somewhat presciently, I had realised the upcoming importance of keyboard skills and taught myself to touch-type using borrowed Pitman books and a 1930’s vintage “Underwood No. 5” that my father procured from his work). The course included a group project lasting several months; our group of four followed a proposal by Dr. David C. Woods to develop a parser for heraldic shield descriptions and then displaying the described shield on what was, at the time, the new and exciting medium of a personal computer! An Apple ][ to be precise, with twin 80Kb floppy disk drives, one for the program, one for the UCSD Pascal compiler! Sharp-eyed readers will see some early output taped to the wall of my room in the accompanying photo. Twenty years later this was to be the seed of the Drawshield Suite of blazonry programs. 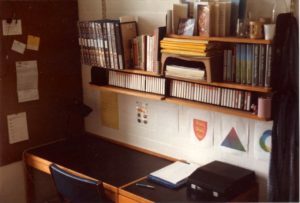 Between 1995 and 1996, with the assistance of my then employer, British Airways, I started a part-time PHd by Research at the University of Reading. 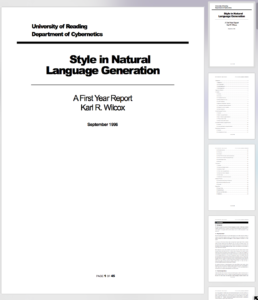 The subject was “Style in Natural Language Generation”. The aim of the research was to automatically generate natural language narratives in a variety of different styles. This made use of a “generative grammar”, which is a recursive set of rules that can be applied to create grammatical sentences. Example rules could be A sentence can be a Noun Phrase followed a Verb Phrase; a Noun Phrase can be a Determiner followed by an Adjective then a Noun, etc. This would be used to create all of the possible ways to construct a sentence, and then a “Neural Network” would be trained to pick out the sentence that most closely matched the desired style of language. I completed the first year of work, along with a report and presentation which was approved for continuing, however a serious family illness prevented further work. A copy of the first year report is available here.